Nestled in the city center of Phnom Penh, the capital of the Royal Kingdom of Cambodia is Holiday Villa Phnom Penh. A 4-star hotel built to reflect the best colonial design and style, strategically located on the main business street and just 15 minutes drive from Pochentong International Airport. It is within the vicinity of shopping area and only 5 minutes walk to Central Market (Phsar Thmei) and World Mongkulwan. 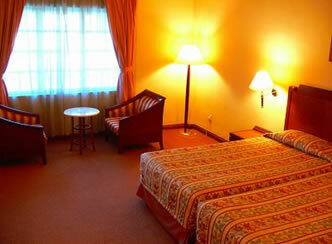 The hotel is also 50 minutes flight time from the famous Angkor Wat temples. Holiday VillaI Phnom Penh in larger map.